Auto sales boomed through much of 2016, and while sales have cooled in recent months, the industry is looking to keep its streak alive by rolling out a bounty of new models. At the 2016 Los Angeles Auto Show, car buyers and enthusiasts can see the unveiling of 50 new or redesigned models. Some 20 world or U.S. debuts include cars from Alfa Romeo, Mazda, Mini, Subaru and Volkswagen and a compact SUV from Jeep. The show will also feature the current models from domestic and foreign manufacturers. With the economy and gas prices stable, car shoppers have shown a powerful appetite for SUVs and trucks. While lower gas prices are good for the wallet, they have dampened interest in the release of new electric cars, which will be creating less buzz this year even though the Chevrolet Bolt, with 234 miles of range, will be on display. 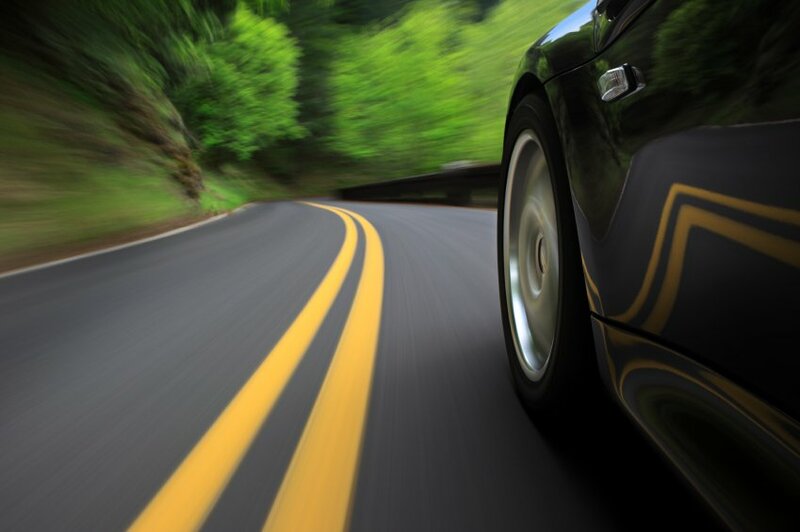 Auto shows are perfect for car shoppers in the market for a new set of wheels or anyone planning for a future purchase. Press unveilings started Nov. 16 and included everything from “Star Wars” storm troopers to live bands and fireworks. The public show runs Nov. 18-27. 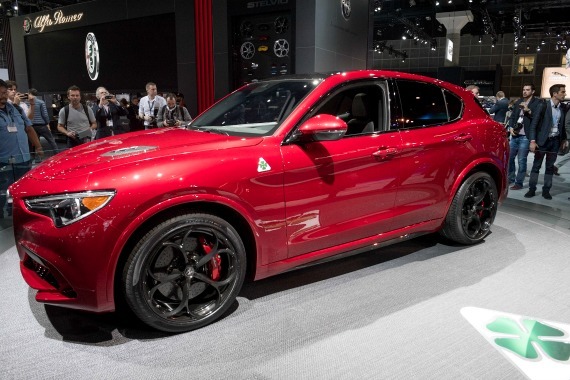 Just a year after re-entering the U.S. market with the stunning Giulia sports sedan, Alfa Romeo is rolling out a luxury SUV, which debuts at the L.A. show. The 2018 Alfa Romeo Stelvio will be offered in a wide variety of powertrains from a muscular V6 to a fuel-efficient gas sipper. The Italian carmaker’s sales strategy matches those of other high-end manufacturers, such as Porsche and Audi, which have gained market share by jumping on the SUV bandwagon. Delays are common from Alfa Romeo, but the Stelvio is planned for production early next year. Sources estimate the price will be $55,000. The biggest in a line of small cars, the Mini Countryman has been completely redesigned and given a growth hormone for 2017. 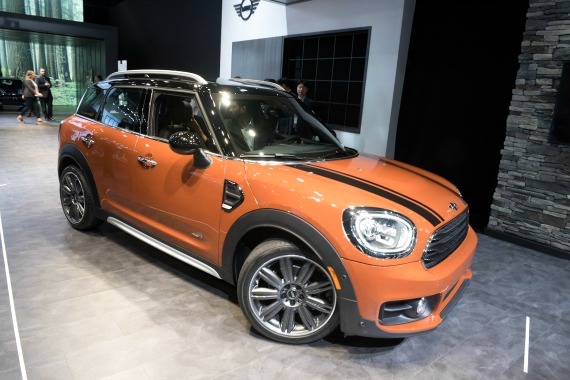 Making its debut at the show, the Countryman is now bigger and more muscular-looking on the outside and roomier inside. The German carmaker, based on the British brand, has added the option of a plug-in hybrid electric vehicle (PHEV) setup with an all-electric range of 25 miles. For those preferring a more conventional powertrain, a pair of gas engines are available along with an all-wheel-drive option for all models. Another interesting option: an electric tailgate unit that unfolds from the trunk and provides picnic seating. The new gas-power Countryman goes on sale in March with the PHEV version available later in the year. Pricing has not yet been announced. Nissan is taking the wraps off two new models of their popular small cars at the L.A. show. The 2018 Versa Note, a fuel-efficient four-door, will have new front-end styling, color palette and wheel designs. Its 1.6-liter 4-cylinder engine, matched with a new transmission, boosts fuel economy to 39 mpg highway. Meanwhile, the small SUV Juke introduces a Black Pearl Edition with unusual black styling inside and out and a complement of white accents. The 2018 Juke SV carries a sticker price of $22,550 for the front-wheel-drive model and $24,400 for the all-wheel-drive. Meanwhile, the Japanese manufacturer will have two additional world debuts, one of which will be a high-performance version of the old favorite economy car, the Sentra. Additionally, the Rogue (pictured) will be released in a Star Wars Limited Edition. Jeep is known for its ruggedly iconic, all-American-style SUVs. But it’s also one of the few brands with limited-edition productions, such as the 75th-anniversary Wranglers and a special 2016 Dawn of Justice Renegade. Now Jeep is releasing two more special-edition Renegades at the 2016 L.A. Auto Show: the Altitude and the Desert Hawk. The 2017 Jeep Renegade Desert Hawk, like all Jeeps, is off-road ready with all-wheel drive, a 2.4-liter four-cylinder engine and a nine-speed automatic transmission. 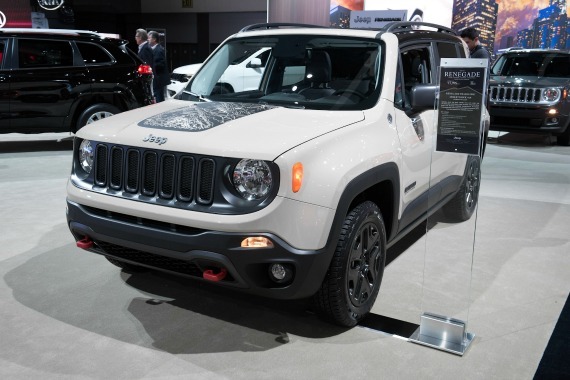 Modeled after Jeep’s best-in-class Trailhawk, the Desert Hawk goes further with included 17-inch wheels, unique hood and rear designs including a U.S. army star decal, and rock rails for improved traction. The subcompact crossover’s signature color is Mojave Sand, but it’s available in Alpine White, Anvil or black. The Desert Hawk will arrive at dealerships starting January 2017; sources predict it will be listed at $28,140. Mazda doesn’t have the brand recognition of its Toyota or Honda counterparts, but its cars are consistently reliable, affordable and thrilling to drive. 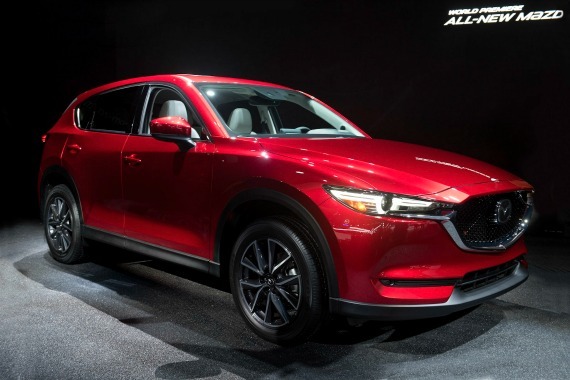 The Japanese automaker has continuously reinvented the top-selling CX-5 since its introduction in 2012, and it is now launching its redesigned CX-5 at the Los Angeles Auto Show. The 2017 Mazda CX-5 is a sleeker breed: lower to the ground, with a longer hood and streamlined headlights. 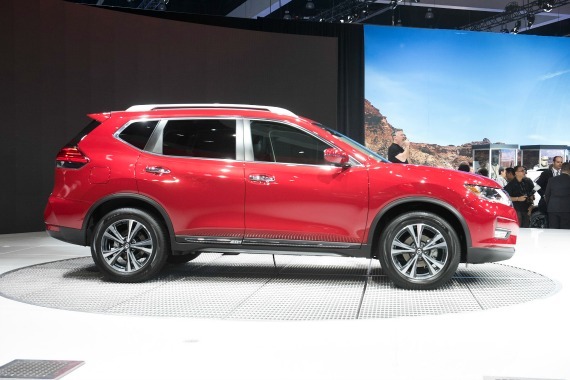 Under the hood, the crossover is keeping the current 2.0-liter and 2.5-liter four-cylinder gasoline engines and a six-speed transmission. In one changeup, the model will have a diesel engine option starting the second half of 2017, a rarity in the U.S. market. No pricing information is available yet. Smart, part of the German Daimler AG family, is a city-dweller’s car — subcompact 2- and 4-seaters that can park just about anywhere but look decidedly tiny on a freeway in this SUV-crazy country. Smart was an early player in the current crop of plug-in electric cars, with its first cars hitting 18 markets in 2009. 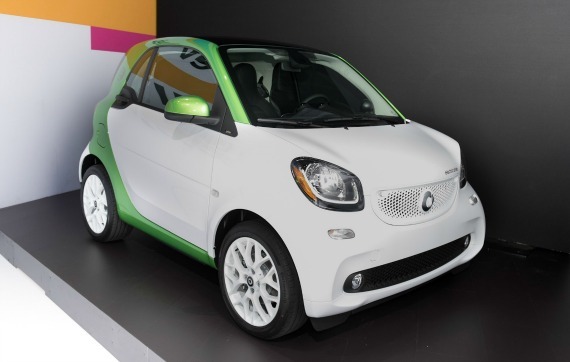 Smart debuted its fourth-generation electric drive in Paris in September, and it is offering the first U.S. glimpse at the L.A. Auto Show. Unveilings include the Smart Fortwo Cabrio, with a fold-down roof, which the maker says is the only electric cabriolet available. It has a reported range on full charge of 99 miles, less than half of what the new Chevrolet Bolt will offer next year but more than sufficient for in-city commuting. All the Smart models are available in both electric and combustion engines. The car will hit the U.S. market in December. 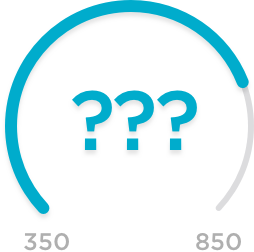 The price has not been announced, but Car and Driver estimates it will be in the mid-$20,000 range. We all know the Civic, right? This old favorite is getting some new sheen as it rolls out new models and makeovers as part of its 10th generation. The Honda Civic Type R prototype was shown off in Paris in September, and now the Japanese maker has unveiled a prototype of its sporty 2017 edition of the Civic Si in Los Angeles. 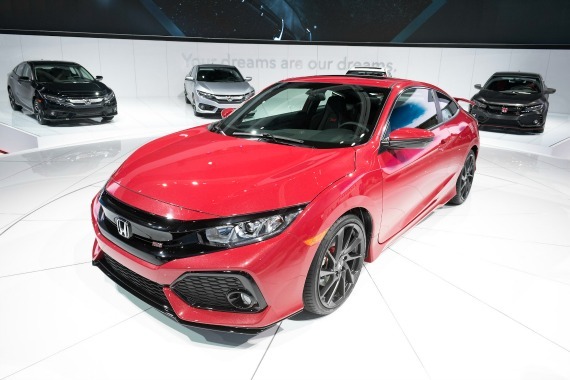 The high-performance Si will be available in 2017 as a sedan or coupe, with a turbocharged engine and a “short-shifting” manual transmission. The Civic is in its 44th year, and Honda is projecting that 2016 will be its biggest sales year yet — but the overhaul of the complete Civic lineup shows the company isn’t resting on its laurels. The prototype Model R is also on display. No price has been announced for the new models. Land Rover’s Discovery models have always been large, luxurious SUVs, built with powerful off-road performance. The British automaker’s newest, however, sheds some pounds for a more refined look and some cushy perks. Debuting at the L.A. show, the 2018 Land Rover Discovery impresses with lightweight aluminum construction, an arsenal of semi-autonomous driving features, and a sleeker and lighter body shell. Its interior is where the model shines: equipped with room for three rows of seating — adjustable via smartphone, individually heated and organized in descending stadium height positions — a sports-inspired steering wheel, and a Wi-Fi hotspot system. Despite its family-friendly face-lift, the off-road champion retains plenty of power, featuring JLR’s 340-hp, 3.0-liter supercharged V6, and an eight-speed automatic transmission. Available at dealerships in mid-2017, it’s predicted to start around $50,000. Volkswagen could use some good news, as it works through the self-inflicted damage of its diesel emissions scandal. So in Los Angeles, it provides another look at its newest SUV model, the Atlas, which was first unveiled in late October. The Atlas, to be built at the German automaker’s assembly plant in Chattanooga, Tennessee, will be VW’s biggest SUV yet, joining the compact Tiguan (MSRP from $24,995) and the midsize Touareg (MSRP from $49,495) — with a price tag expected to fall somewhere in between. The three-row Atlas will seat up to seven adults and will come in two engine options: the 2.0 TSI four-cylinder turbo and the 3.6 VR6, both with eight-speed automatic transmission. The SUV is front-wheel drive, with an all-wheel-drive option for the VR6 engine. It’s expected to be available in spring 2017. Philip Reed is a staff writer at NerdWallet, a personal finance website. Email: preed@nerdwallet.com. Nicole Arata is a staff writer at NerdWallet, a personal finance website. Email: narata@nerdwallet.com. Photos for NerdWallet by Ed Carreon.